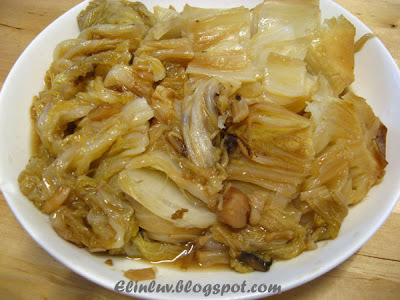 Pan sear the chinese cabbage in a non- stick pan till soft. Take out and leave aside. In a wok, saute garlic till fragrant , add in cuttle fish, mushrooms and dried scallops and stir fry for 10 minutes. Add in 1/2 litre of water and simmer till mushrooms are soft . 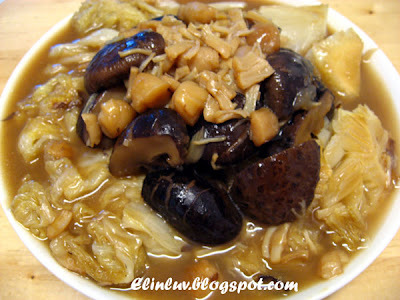 Add in oyster sauce., chinese wine , the pan seared cabbage and braise till the flavorful gravy has infused into the cabbage. Add thickening last and salt to taste. Serve hot. 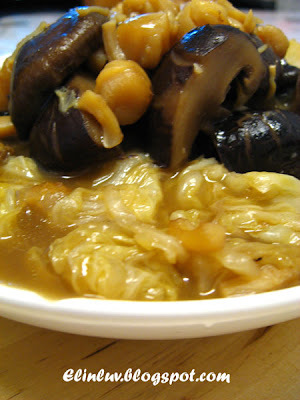 * When serving this dish, arrange the cabbage at the bottom and the mushrooms and scallops on top. Pour the gravy last. Elin, you again have created a fabulous homey dish! Wow lots of great flavors that I love! Yum! 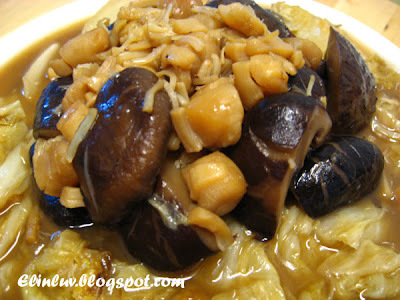 This is truly a delicious dish which I normally cook for CNY! 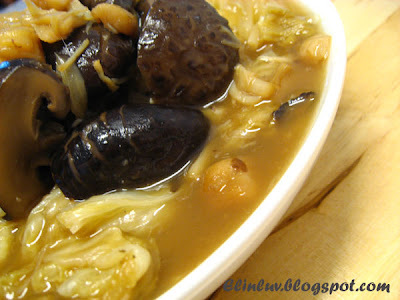 Owh yum.. Love this dish. Never made it though. Maybe I should, just to impress mum :) !! Sounds delicious. Scallop, mushrooms and cabbage, delish! So..Elin is started practising for the coming CNY already huh! A good recipe to use during CNY. 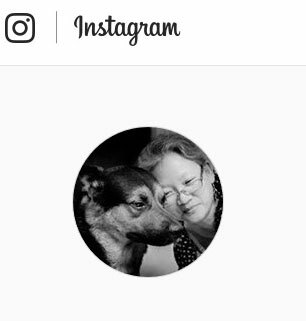 Oh my goodness - this looks so good! Oh my, Elin, this looks AMAZING. I could go for a huge bowl of this right now.